We are starting the third week of BM#52, I am doing Parsi Cuisine this week. I just realized that I was supposed to do this theme in Cooking 4 all Seasons but went ahead and posted Readymade Products. This just shows how hectic things have been. Even though I knew I get guests during summer, I completely forgot and wasn’t prepared at all. The result was for the past 15 days, I wasn’t able to even touch my system. 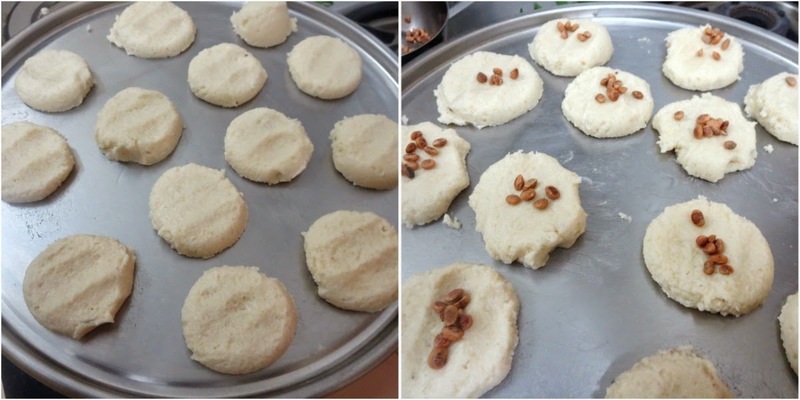 I made this Nankhatai some weeks back and going by the original recipe, I blindly had it for 30 mins. I ended up with burnt cookies. This was my first ever failure and though the burnt cookies were tasty, I was thinking I should used my common sense. I mostly never follow a recipe, since this was all about a cuisine, I thought I should. The second batch I did, I had Chinnu and my nephew helping me make this and we had fun time. Our guests left for their home today and I hurriedly sat to do these posts. This is also a hurried post, so bear with me. Pulse the rava for couple of times. Powder granuated sugar with cardamom. Take it in a bowl and add curds, ghee and cream with a blender till it peaks. 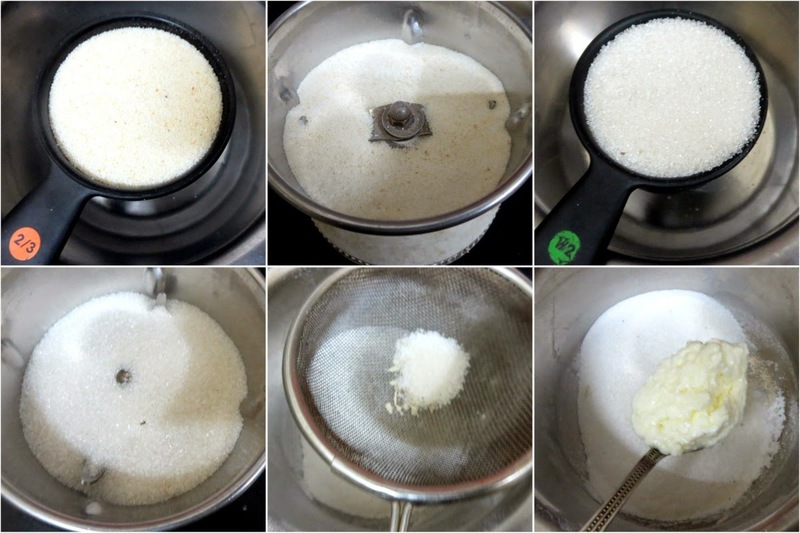 Then add flour, rava to the sugar mix and continue creaming. Add the baking powder and knead well. Pre heat the oven at 185 C and on a greased tray, pinch down small balls of dough. Flatten and press some chironji seeds on top. Bake for 15 mins. Check in between to make sure it doesn’t get burnt. After creaming the dough becomes very soft and loose, so refregerate for 10 – 15 mins and then make balls. This again depends on the dough consistency. I love nankhatai, these look so good. You are tempting me to make some. 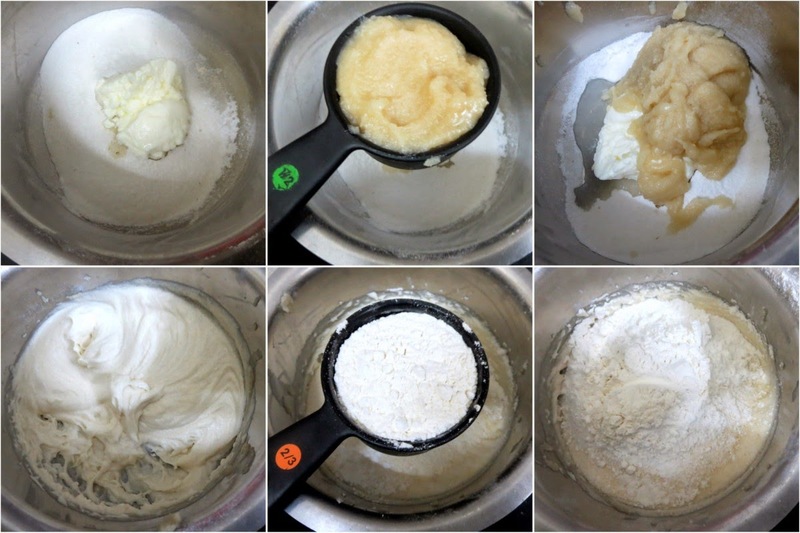 When should we add curd.How much baking powder is required. 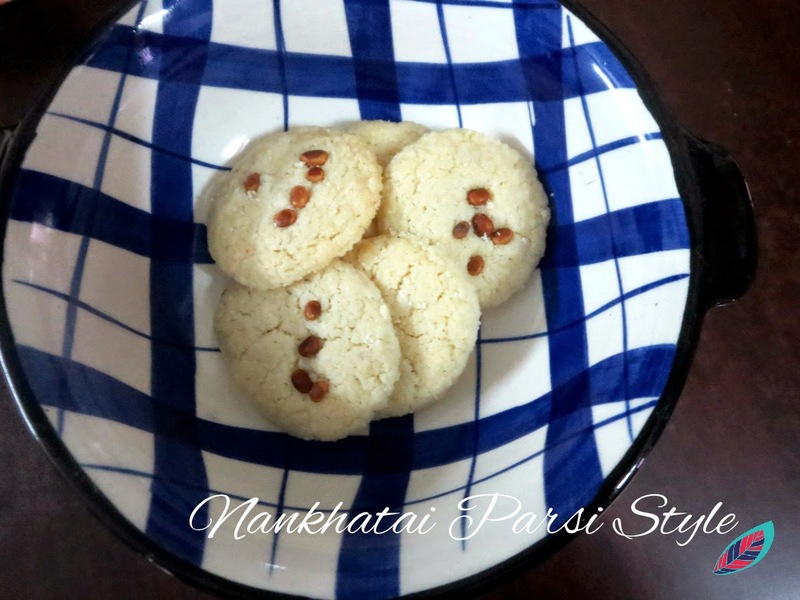 Anon I have updated the instructions..thanks..
yummy looking Parsi nankhatai Valli. Nankhatai looks so delicious and perfect. 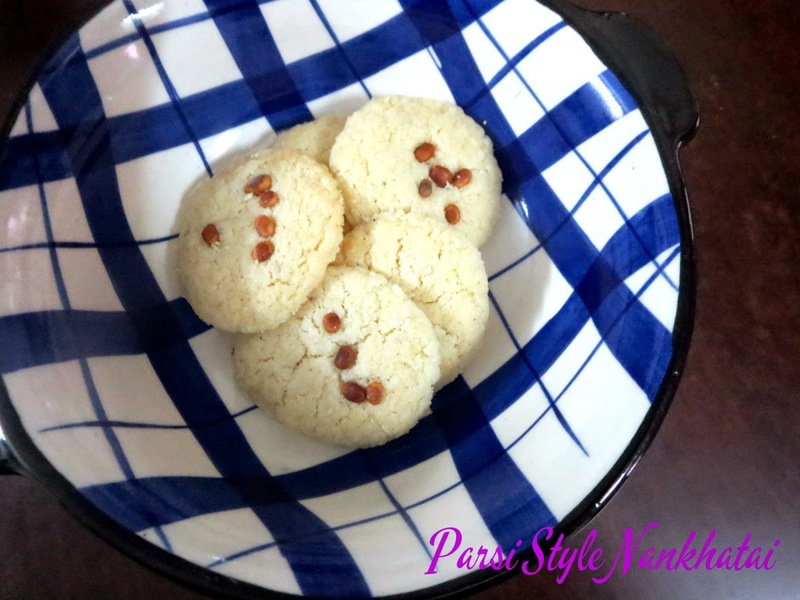 I too posted nan khatai under Parsi recipes. Love them. These are on my to do list, yours have turned out nice. Is it's tast different of the recipe with besan?